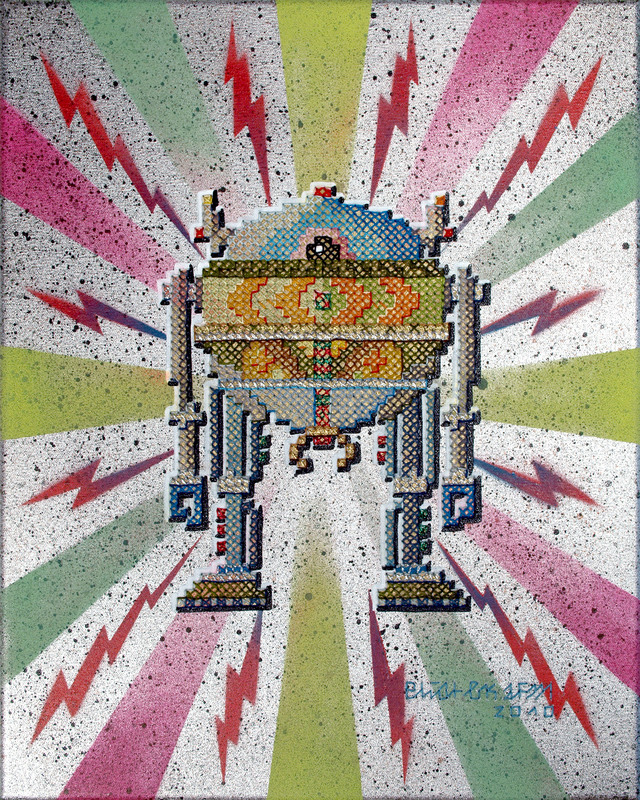 Here come the X stitch Robots. The new Series of embroidered canvas i am curently working on. I wished the whole process could be faster but so many other things are to do as well. I actually wanted them to be finished in 2010 – but still there is so much to do…They need my focus !